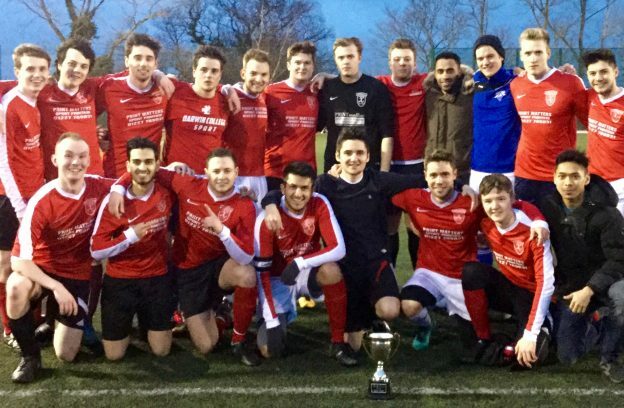 On Saturday 25 February AFC Spartans lined up against New Life football team in the knowledge that a single point would crown them champions of the Kent Amateur Football League (KAFL) 2016/17. A goal each from Luke Port, Ryan Cambray and Ed Gritten saw Spartans secure a 3-0 victory and be crowned KAFL league winners. Spartans take the title with 33 points with 11 wins and only two loses, three points ahead of Adebola FC, who are the current cup champions. Spartans and the rest of the KAFL teams will now progress into the group stages of the cup competition which starts Saturday 4 March. This entry was posted in Student Guide on 28 February 2017 by George Williams. From Monday 6 March – Friday 24 March 2017, the pathways running alongside Rothford, Belmont Bungalow, Highlands and Hilltops will be temporarily closed to allow for essential re surfacing works. During this time access will still be possible to all of these properties. This entry was posted in Campus online, Student Guide on 28 February 2017 by George Williams. From Tuesday 28 February – Tuesday 7 March 2017, the rear entrance to Keynes College (Laundry Entrance) will be temporarily closed to allow the path/road to be resurfaced. The work is being carried out by Ovenden Allworks Ltd., and there will be some noise disruption whilst this work is taking place. We apologise for any inconvenience this may cause, and if there are any queries please contact the Estates Helpdesk on Extn 3209. A new review team needs your help to make assessment and feedback at Kent the best that it can be. You have been telling us that assessment and feedback of your work is an area where the University needs to improve, review our current practice and become more innovative. We would like you to come and talk to the review team and share your thoughts and ideas. The team are holding consultation events on 2/3 March 2017 and would love to hear more about your experience of assessment and feedback at Kent and also ideas from other places you or your friends may have studied. We would really like to meet you and hear your ideas, but if it isn’t possible to come to any of our sessions, please let us know your thoughts and ideas via the Digital Rep platform from Kent Union, which is available throughout the academic year to give feedback to your elected student rep.
What do we mean by assessment and feedback? 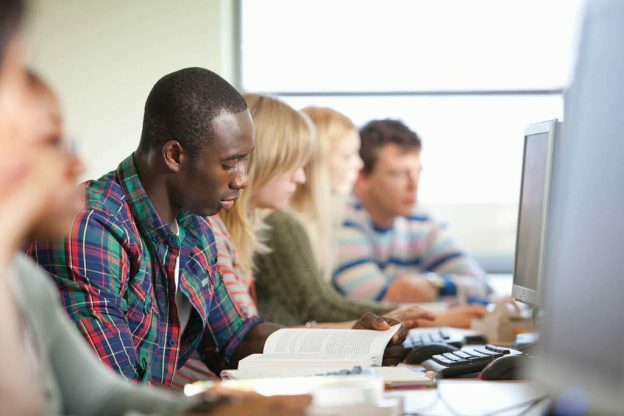 Assessment and feedback includes all aspects surrounding the coursework and examination elements of your studies – from the way you are assessed and when, to the type of feedback you get, how quickly you get it and how useful you find it. This entry was posted in Medway Student, Student Guide on 28 February 2017 by Annabel Chislett. Graduating this summer? Would you like a special way to thank those who supported you during your degree? In preparation for the July graduation ceremonies, Pre-graduation Photobooths are back! Come see us at our Canterbury and Medway locations, write a message of thanks and be photographed by University photographers. These photos will be displayed to your nearest and dearest on television screens in the Cathedral on your day of graduation! Keep an eye on our Twitter and Facebook pages for more information and location details nearer the time. 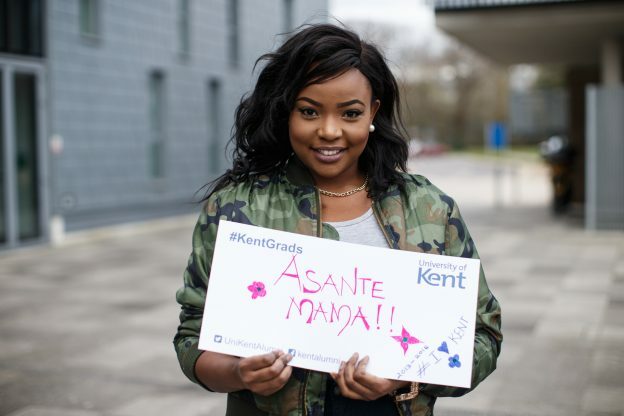 Congratulations on reaching your finals #KentGrads, we look forward to seeing you in March! Please note that these are optional events and will not impact your graduation if you do not attend. 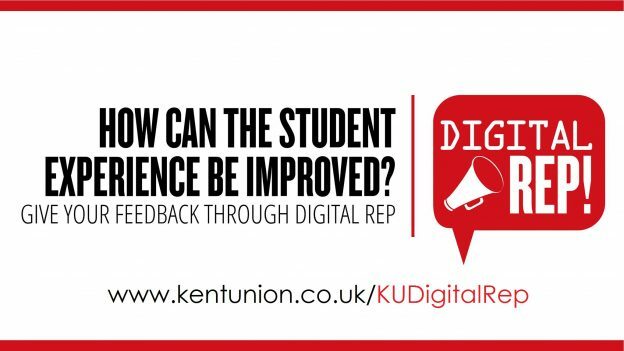 This year, Kent Union has introduced Digital Rep, an online tool that enables you to send your elected student rep feedback at any point throughout the year. Digital Rep is used to collect the student voice on the issues that matter most to you about your academic experiences here at Kent, with your comments going straight to your elected reps to use when working with schools on your behalf. Digital Rep asks you what works well, what doesn’t work well and what could be improved, so that we can celebrate the best parts of your experiences and find ways to continually make it better. Through this tool, your reps are able to make change in the short term as opposed to the long term, and we have seen several successes already across schools that are receiving lots of feedback. You can click here to anonymously send your rep some feedback that they can use to represent your voice about your academic experiences. Not sure who your elected student rep is? Have a look at the Student Rep Directory to find out more. 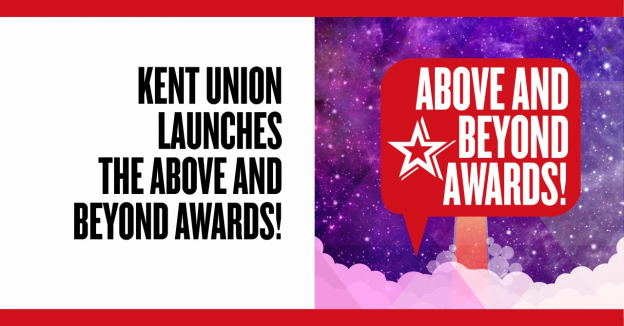 Kent Union has this year relaunched the Teaching Awards as the Above and Beyond awards, to recognise any member of staff throughout the academic year. Now, as soon as a member of staff is nominated, they will be surprised while they’re working (whether that be teaching, in their office etc.) so that everyone around them can see how amazing they are. We’ve just done the first one of these and we’re excited to continue it throughout the year!. If you know someone who has gone Above and Beyond for students, you can nominate them here! This entry was posted in Student Guide on 28 February 2017 by Annabel Chislett. 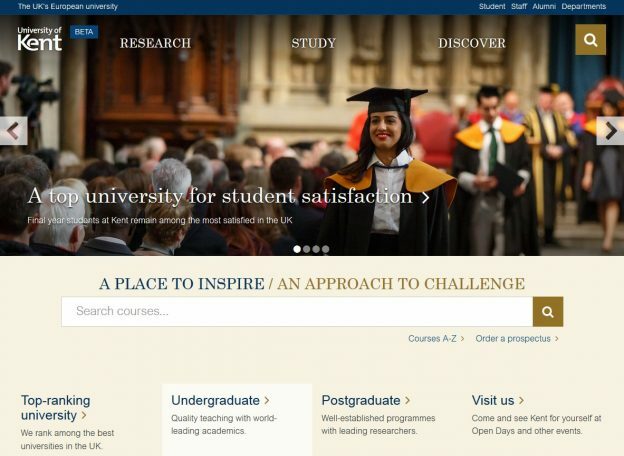 From today (Tuesday 28 February) the University of Kent homepage and many of our most popular pages have new content and a new design. the menu at the very top – the Kent bar. This has been live since January, and provides consistent navigation throughout the Kent website. strengthen Kent’s identity as a world-class research and teaching institution. This new approach to content will gradually be rolled out to the whole Kent website. We’re using web analytics and admissions data to prioritise sections that have the greatest impact. Please use the feedback link on the right hand side of the new pages, and help us keep improving. There might still be some disruption to the new pages today as the changes take effect. ‘beta’ site feedback. The new-look pages have been on our beta site for a while, accessible to anyone. Feedback from the beta has helped us refine the designs. adding student profiles and videos to our course pages to help promote our programmes. We’ll continue to test and improve the Kent website. In the coming months we’ll start working with academic schools and departments to implement the new design and editorial style. The work is a collaboration between Corporate Communications, Enrollment Management Services and Information Services. This entry was posted in Campus online, Medway Student, Student Guide on 28 February 2017 by Annabel Chislett. This Spring get walking with the Wellbeing Zone’s ‘Step Challenge’! Throughout March the Wellbeing Zone will be hosting a Step Challenge for you to get involved in. 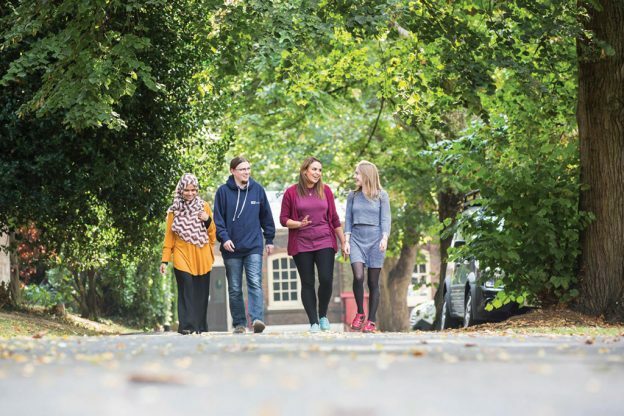 You can upload your steps onto the Wellbeing Zone either automatically (with Fitbit or Strava) or manually (using your own pedometer) and you can enter the challenge as an individual or as part of a team. All participants will be entered into a prize draw to win a £50 Sports Direct gift voucher. The challenge opens on Wednesday 1 March 2017 and will close on Friday 31 March 2017. The Wellbeing Zone is a FREE and totally confidential online resource that offers you a combination of personally tailored programmes and general health information and support. You can set yourself personal fitness goals and browse a range of healthy eating recipes. So if you’re looking to get more active in the Spring sunshine join the challenge! Go to our website to log-in or, if you are new to the Wellbeing Zone, create a new account using the organisation code KENT1. For further information on the challenge visit the Wellbeing Festival 2017 webpage. If you have any questions, please email wellbeingzone@kent.ac.uk. This entry was posted in Campus online, Medway Student, Student Guide on 27 February 2017 by Annabel Chislett. From 13- 24 March 2017, if you’re a stage one or two student, you must choose the modules you want to study in 2017-18. You will need to log into your SDS during this time to submit your choices. Further information and instructions will be sent to you via email – please read this and be prepared! Guidance is also available on our website. 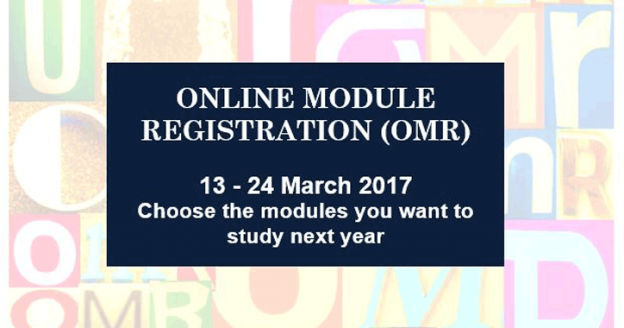 OMR is not first come first served, but you must ensure that you have submitted your selections by Friday 24 March in order to give you the best opportunity to register for your preferred choice of module. This entry was posted in Medway Student, Student Guide on 27 February 2017 by Annabel Chislett.